Fluoride is a naturally occurring element that strengthens teeth and helps to prevent tooth decay. There are many sources of fluoride in various amounts from our water to the food we eat and many kinds of toothpaste, rinses, and professional treatments that contain fluoride. Why Is Fluoride Important To Our Teeth? Fluoride strengthens teeth by helping to speed remineralization of tooth enamel. In this process, minerals such as fluoride, calcium and phosphate are deposited in the enamel and help stop tooth decay. There is a constant process of demineralization and remineralization happening in our mouths. Fluoride helps keep the process more balanced and helps defend the teeth against the acids that we eat and drink and the acids produced by bacteria. Fluoride treatments help to prevent tooth decay in both children and adults. Anyone who is at risk of dental decay should consider topical fluoride treatments. This fluoride is applied directly to the teeth. 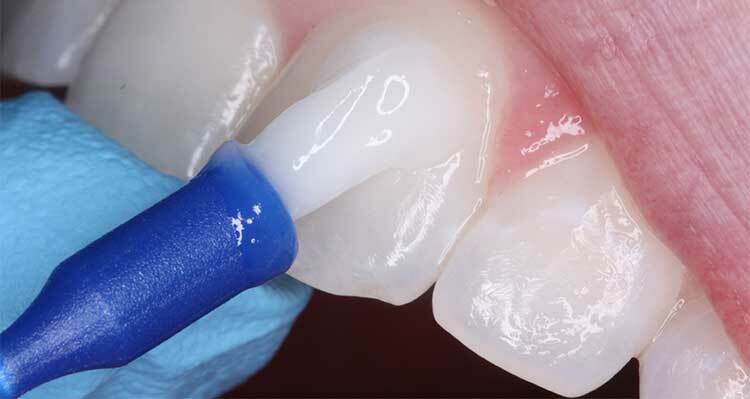 It is typically a concentrated sticky paste which deposits a great amount of fluoride directly onto the tooth. The fluoride treatments we offer in our Chattanooga dental office have more fluoride than over-the-counter fluoride mouthwash or toothpaste options and stay on the teeth longer, allowing them to be used by the tooth. We often give fluoride treatments to children as their teeth are developing and their oral hygiene habits are often less than exemplary. The treatments provide additional protection against cavities, even if children already drink fluoridated water. To help increase the fluoride’s contact with the teeth, please don’t eat or drink for at least 30 minutes after treatment. For people with extensive recurring decay, Dr. McOmie may also recommend trays to use at home with prescription fluoride, xylitol gum, or special toothpaste tablets with arginine. Our understanding of the science of tooth decay is expanding and Dr. McOmie’s office is at the forefront of this field. If you are using any fluoride products it is important that you talk to Dr. McOmie so we can help determine which are best for you or your child.